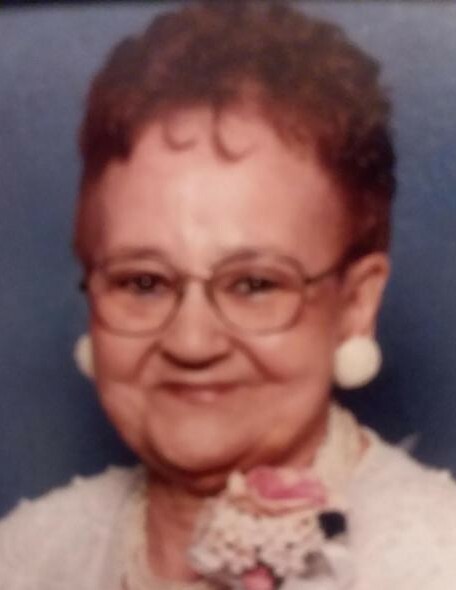 Betty Jane Crump, age 90, of Bellefontaine, Ohio passed away at 4:05 A.M. Wednesday, November 21, 2018 at Logan Acres Senior Community in Bellefontaine. She was born in Wilberforce, Ohio April 24, 1928, a daughter of the late James Blain and Carrie Elizabeth (Lucus) Newsome. She married Walter O. Crump February 3, 1946, and he preceded her in death April 13, 1972. She was also preceded in death by a daughter, Shonetta Lyburtus; four sisters, Freda Roberts, Evelyn Cox, Christell Carr, Carol Holland and a brother, Morris Newsome. She is survived by four daughters, Patricia (Tom) Taylor of Bellefontaine, Janet (Felix) Beltre’ of Lowell, Massachusetts, Barbara Cook of Jacksonville, Florida, and Teresa (Paul Jr.) Taylor of Bellefontaine; fourteen grandchildren, Wesley, Shon, Quentin, Shon, Trenton, Janell, Betty, Dannie, Damen, Michelle, Barbara, Asia, Macy and Edward; twenty two great grandchildren; five great-great grandchildren; a sister, Mary Harmon of Springfield, Ohio and a host of nieces, nephews, and great nieces and nephews and cousins. Betty was a member of the Bellefontaine Kingdom Hall of Jehovah's Witnesses where she was baptized April 25, 1987. She was known by her congregation and her neighborhood as “Gran”. She was a tremendous cook and baker and did so for everyone and anyone. She loved her flowers and would always have a porch full of them at her home. Thomas D. Taylor will officiate a memorial service at 3:00 P.M. Saturday, December 8, 2018 at the Bellefontaine Kingdom Hall of Jehovah’s Witnesses where friends may call to the Hall one hour prior to the service. Burial will be private in the Bellefontaine Cemetery.